Today, we’re excited to bring you our interview with Melanie Perkins, founder of Canva — a company that helps people create well designed documents and graphics through their simple drag & drop interface. 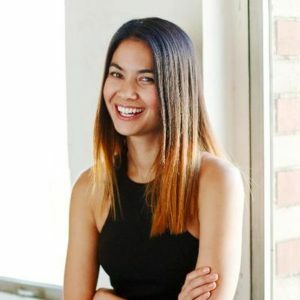 She talks about how she built Canva from 1,000 to 10 million users in just 3 years, without spending any money on ads. We also asked her about the unconventional strategies she used to raise venture funding for Canva, how she hired world class employees for her tech team, and more. Eric Siu: What does [your] story look like? How did you settle into Canva? Melanie Perkins: I was at university and I was teaching design programs and students would struggle learning the very basics. It would take a very long time just to design and learn where the buttons were let alone actually how to actually design anything. And so what I wanted to do was to make design really simple and easy. So we had this big grand vision of how we were going to make the entire design ecosystem, integrated into one page. But the funny thing was I was 19 and had absolutely no business experience, or experience learning software or anything like that. So rather than trying to take on the entire world of design at the same time, my boyfriend became my business partner. And we took over my mom’s living room and launched the big concept but for the niche market of school year books in Australia. And I think that was really fortunate because rather than trying to take on a huge market, we were able to really concentrate our efforts in one area and do really well at that. So that grew very quickly, expanded across Australia, launched in France and New Zealand. And a few years into that we really wanted to take Canva to the next level. We realized there was still nothing in the market that enabled everyone to design everything, and so wanted to take that concept to a much broader market. And so we set out on the adventures of Canva, which took a very very long time. But [at first] we thought, ‘Oh we’ve got a possible company. We’ve been able to do this before. Raising money would be really easy to take on this bigger market.’ That definitely wasn’t the case. [We] ended up spending a very long time in San Francisco — three months firstly living on my brother’s floor, trying to pitch investors, pitch technical co-founders. And then it was another year later that we actually ended up finally raising investment, which was three years after meeting our first investor. So it was a very long time in the making. And then once we finally landed our technical team, landed investment, it was another year of development before we launched Canva. We launched Canva just over three years ago, and fortunately it’s been growing very very rapidly across the globe. Eric Siu: It sounds like you guys had two/three years until you got your next investment? So what kept you guys going, or how did you know it was the right idea when all these investors just kept passing? Melanie Perkins: For Canva, it was three years between meeting our first investor and actually landing investment. So it was a very long road to get to the point of landing investment. And as to your question about how we kept going, it was tough. It was like a really tough experience being rejected so much. But I think that now, in retrospect it was really beneficial because it meant that we got to get incredibly strong on a strategy. Our strategy became very refined, we ended up with an excellent pitch deck that we’ve now used when we’re trying to explain our concept to customers, or explain our concept to team members. Eric Siu: There’s an interesting story about how you were basically [had to] learn kite boarding to basically raise capital. Can you talk about that? Melanie Perkins: [I had] the opportunity came to go to a kite surfing entrepreneur conference where there are a lot of investors. [So] I was like, “Okay, well that’s an opportunity too good to pass up.” So I went to kite board, despite the fact it is one of the most dangerous sports in the world. It was very well worthwhile because it meant that we got to get in contact with a lot of investors. I think that you just have to keep on planting seeds, and eventually one of them will sprout. A lot of them won’t, but the one that does is the thing that matters the most. Eric Siu: How did you guys go about acquiring, let’s just say your first thousand customers? Melanie Perkins: When we first started we were doing absolutely everything, like I was going to a lot of tech conferences, a lot of blogger conferences. Really just trying to move the needle. In the early days getting 10 people on board was like, “Woo, yay, this is awesome!” We were fortunate that before we launched Canva, because of the investment that we’d raised, we were able to get a bit of media when we actually launched the product. We sort of were in stealth, and we had a few announcements in stealth, and then we launched. Which meant that we launched with a bit more fanfare than when we launched our first company and our parents were the only people that cared. I think the most important thing for any company is to solve an important problem. If you solve a problem that affects a lot of people, it really helps. Firstly [you should] have an audience when you launch your product because they actually care about [your product], and then secondly they’ll tell other people because they [probably have friends that care] about that problem too. So for social media marketers and bloggers, they had a really significant problem that they had to create a lot of visual content without having had any design experience, typically. And so what we were able to do with Canva was really tap into their needs. Then not only did they use that product but they then helped to spread it. Even today most of our traffic is still coming from word of mouth. We’ve had, I think 17 thousand videos made and 15 thousand vlogs written, by just the community about Canva. Not to mention all of the tweets and Facebook posts. So I think that that all really just comes back to if you solve a problem that really affects a lot of people, it dramatically helps in your marketing because people then spread the word about it. Eric Siu: What’s the most effective thing other than word of mouth that’s working for you in terms of customer acquisition today? Melanie Perkins: Word of mouth has been our strongest driver. We’re not doing any paid acquisition at all. We aren’t even doing affiliate programs or paid sponsorship or anything actually. We have a non-profit program which has been growing really rapidly. So we had over seven thousand non-profits on the program, where we give our paid product away for free. Which is an incredible thing for the non-profit community because they’re able to create awesome graphics to help spread their word and raise funds for their charities. We also have a lot of people that are finding about Canva because they’re actually searching for Canva. They’ve got design needs, whether that’s to create a poster or a social media graphic. Then of course we’re there to meet those needs when they come across them. Eric Siu: I’ve seen a lot of your content online. Can you tell me a little bit more about what you guys are doing in terms of content marketing/SEO? Melanie Perkins: Yeah, sure. So our design school has been really fantastic. We have over a million users a month coming to our design school and we are teaching everything from color theory, to font pairing, to how to create combinations or layouts that look good. But then we’re also teaching a lot about best strategies for, or top strategies for social media marketing, or top strategies for all sorts of other things. And that’s been really effective and popular. And so when people are sharing our content, then of course that helps people to find out more about Canva. And gives people who are enjoying our product the opportunity to spread the word more. Eric Siu: So about your background, are you technical? Melanie Perkins: I was studying communications, psychology and commerce at uni and then started my first company before I graduated. So while I’m not an engineer, I’ve spent a lot of time working with engineers. Eric Siu: Tell me about how you built such a great team. You know, where do you go find all the great people, and some other great tips and tricks that you have? Melanie Perkins: Yeah, I wish there was a magical tip or trick that helps you to find an amazing tech team. It was a year of looking to find our first technical [team member], to find our co-founder, and our tech lead. Literally going to every single conference I could under the sun, calling people, emailing people, connecting with everyone on LinkedIn, just trying to do anything I possible could. [We] eventually landed some amazing people. Lars Rasmussen who co-founded Google Maps, very kindly offered to be our technical advisor. So what that actually meant was a year of bringing resumes to people, sending LinkedIn things, and him rejecting everyone, which was incredibly frustrating at the time. Because it meant that we couldn’t get started on Canva. I was like, “We need to do this now!” It was so frustrating. But very awesomely, he ended up introducing us to both our co-founder and our CTO. And they helped set the bar for an incredible tech team that we have today. We’ve got over 150 people on our team now, across our two offices. One’s here in Sydney, Australia and the other is in Manila, the Philippines. And we’ve been very fortunate to have an incredibly talented and motivated and passionate team, that’s helping to build out this crazy, crazy product. Eric Siu: So how do you go about meeting the co-founder of Google Maps? Is it just going to conferences? Networking? If you have an advisor like that who can block you from making a lot of mistakes, that’s huge. Melanie Perkins: Yeah. It was huge. So I seem to have a lot of disaster stories, so I’ll tell you another one. So I was at a conference. We were WA runner up inventor of the year back in 2008, I think it was. No, 2009? And then the following year I met Bill Tai who runs the conference MaiTai when he was in Perth. He was there to go kite surfing but was at the conference. So we had a five minute chat, he said if I went to Silicon Valley he’d be happy to meet up. I went to Silicon Valley the following year and then he introduced me to Lars Rasmussen. That was how that bizarre story unfolded. Eric Siu: How do you go about working with your significant other? Melanie Perkins: I feel incredibly fortunate to have been able to work with him, for now 10 years, almost I think. Because it’s meant that as things are like a crazy rollercoaster and you come across all these challenges, you have someone who understands exactly what you’re going through, and are able to bounce off each other. Of course it can be challenging at times, because we work together and we live together. So we’re essentially spending 24 hours a day together, seven days a week. It is important to sometimes gives yourself a little bit of separation, but I think it’s been an incredibly awesome thing to be able to do together. Especially when like, in the early days when I was in San Francisco and he was running the company. It was a really awesome thing to be able to, just have complete trust in each other. Eric Siu: Tell me about one big struggle you’ve faced while growing the business. It sounds like, you know there’s the raising funds thing, there’s finding that technical co-founder. What’s another big struggle you’ve had? Melanie Perkins: There’s constantly big struggles every single stage of the company. The struggles that we have now is we’re growing really rapidly on every single front. Which might sound like, “Oh poor me.” But it is really important to get the company structure right, to get the culture right. I think that we’re doing a lot of things really right, but there’s always so much room for improvement. So we, in the very early days we would have stand ups. And every week everyone would go to Canva design and say what they’ve been working on for the week. And then we got to the point that we had too many people and that that was going on for like an hour, and then we had each team present. And then we’re like, okay this is cool, each team can present, it will mean that we can roll it up much more quickly. But then people can still get to communicate every week all the important things. And then we got to the point that we had too many teams, and that was taking too long. So then we had to change it again to having deep dives, say we’d have five teams doing a deep dive on what they’re working on each week. And then there was room to make it a lot more efficient, again. But across the entire company you’ll get to a point [where] the current systems you have will break and then you have to reinvent the systems, and then those systems will break, and then you have to reinvent the systems again. It’s just this constant process. So every single stage of the company, everything’s breaking and then you’re having to fix everything again. But it’s fun, I like challenges. Eric Siu: This has been awesome. Melanie, what’s the best way for people to find you online? Melanie Perkins: You can find me on Twitter, my handle is @MelanieCanva. That’s probably the best spot.